There may be a need for BlueStack on Mac users, to restart the App Player. That’s why here we are going to explain the procedure if you are new to BlueStacks App Player. 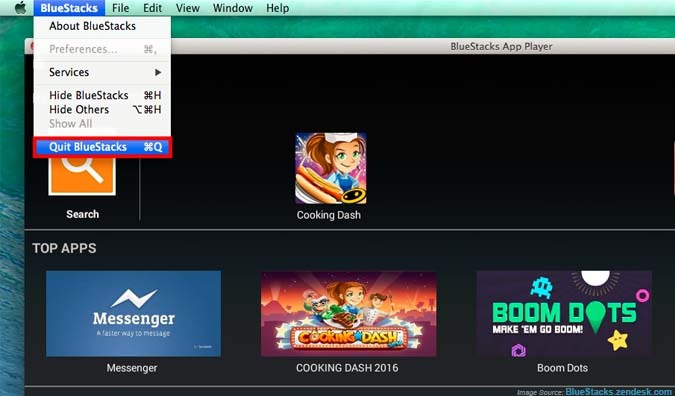 Read the steps and procedures outlined as below to quit and restart Bluestacks on Mac. a). After launching BlueStacks, look up on the top menu bar and find BLUESTACKS. b). Now from the drop down, the last option is QUIT BLUESTACKs. Click on it, wait few seconds until it closes completely. c). Now double click on ‘BlueStacks’ App launcher icon to restart BlueStacks. Usually one can find it on the desktop screen.